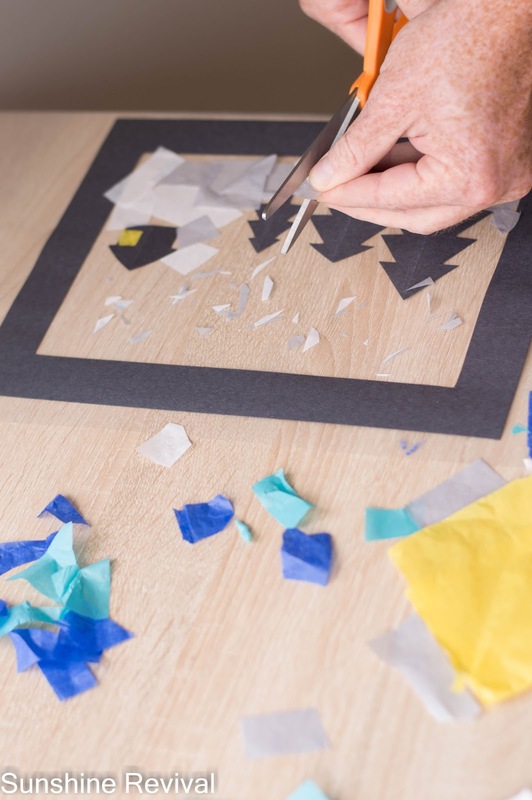 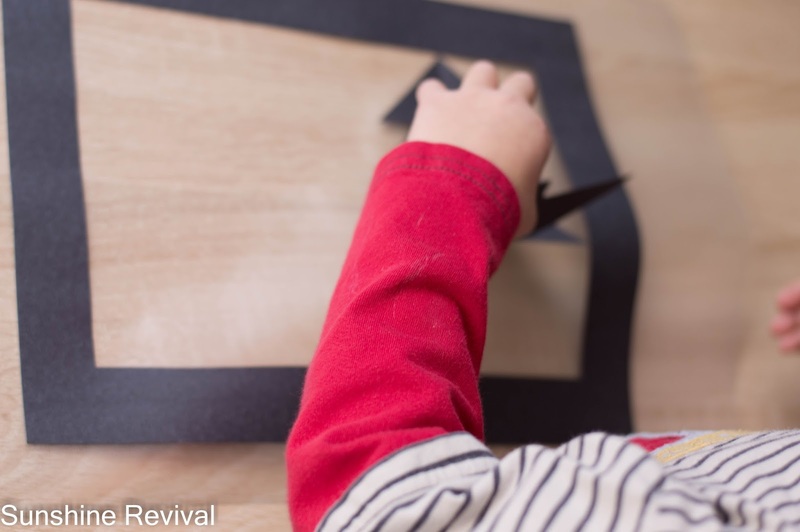 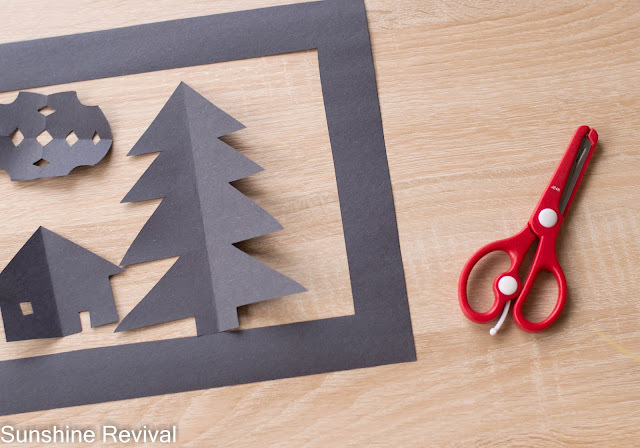 Use x-acto knife, ruler, and self healing mat to cut the frame out of one piece of black construction paper. 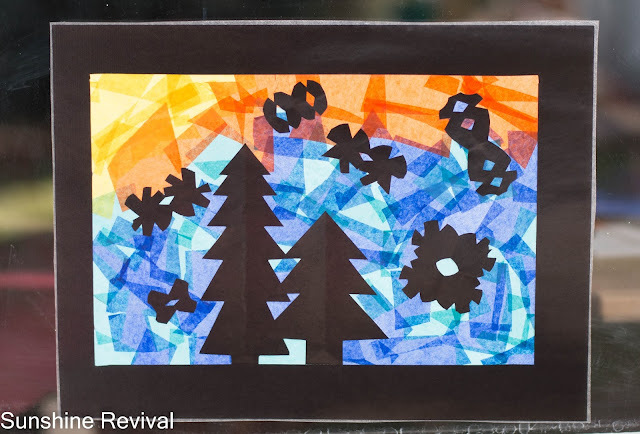 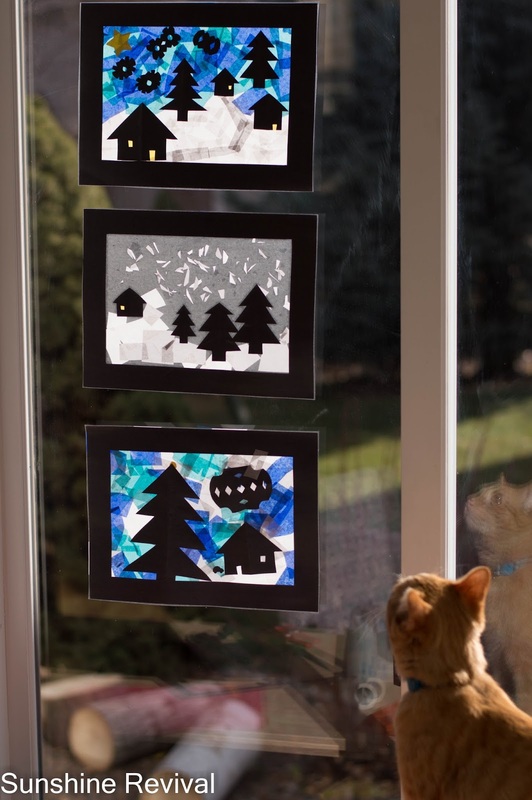 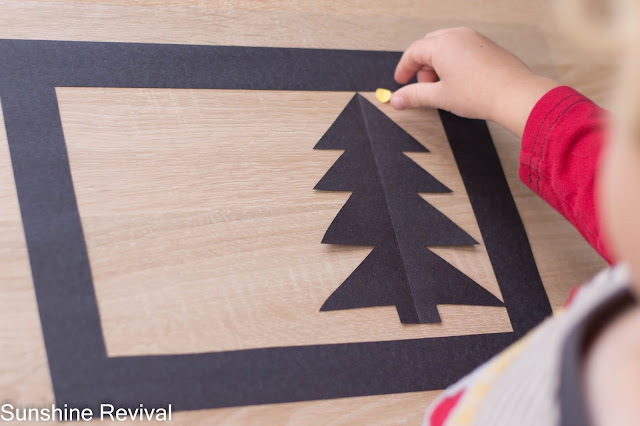 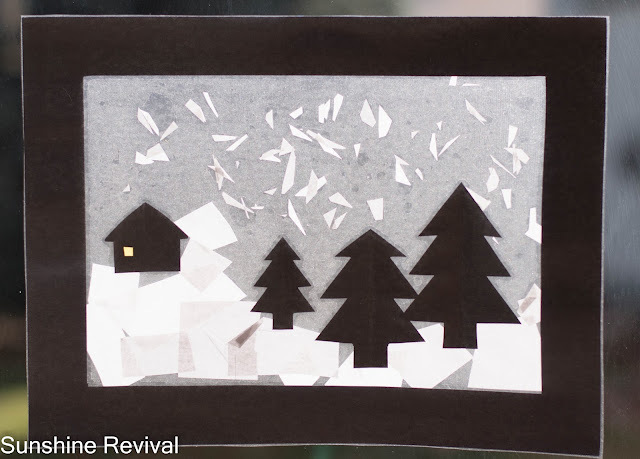 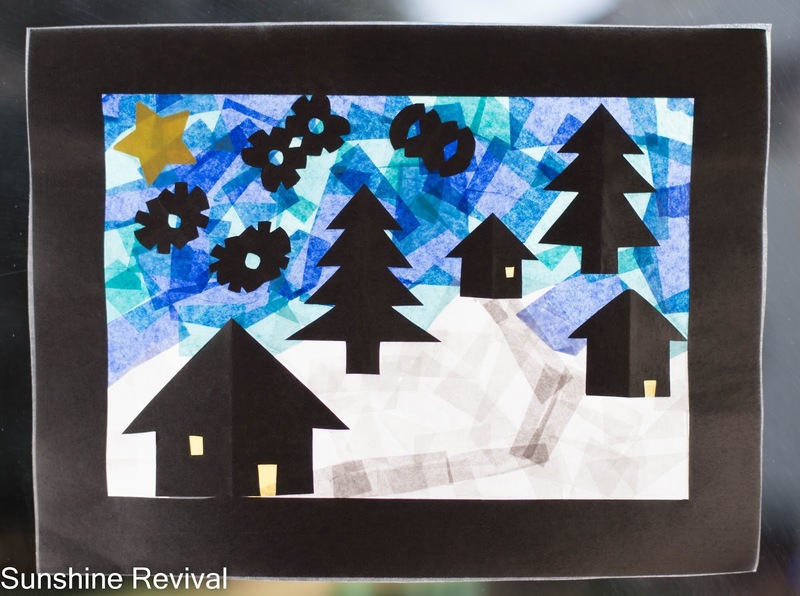 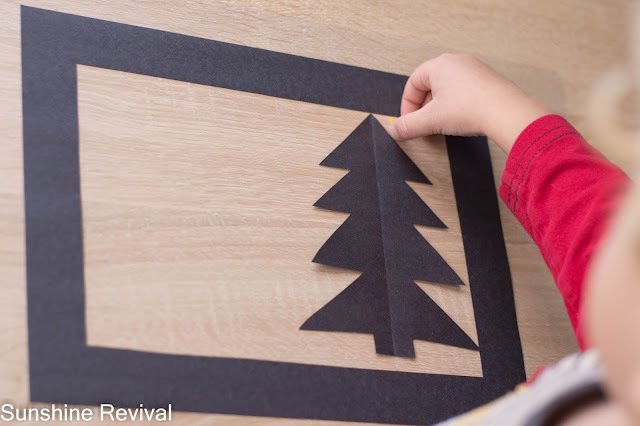 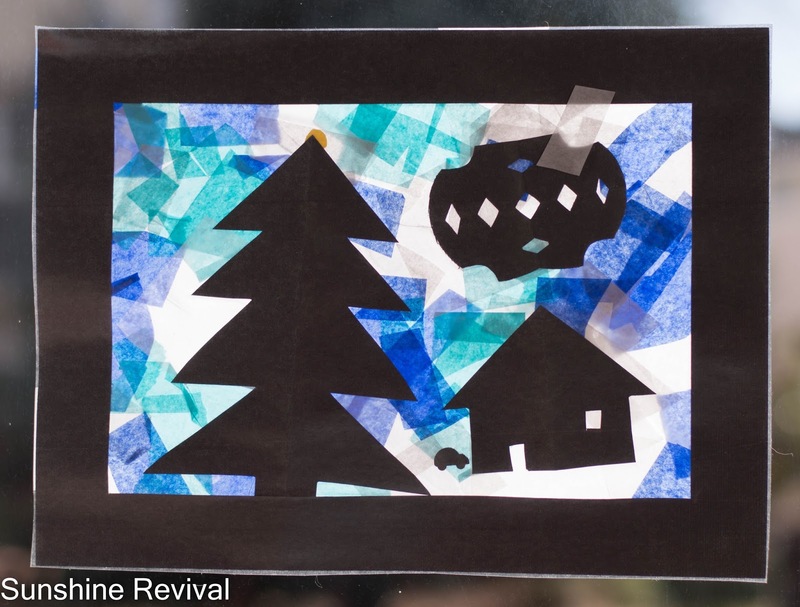 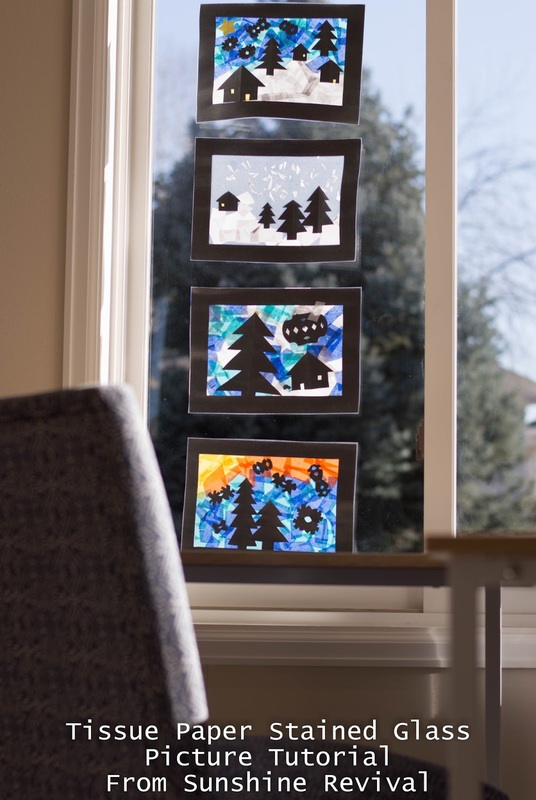 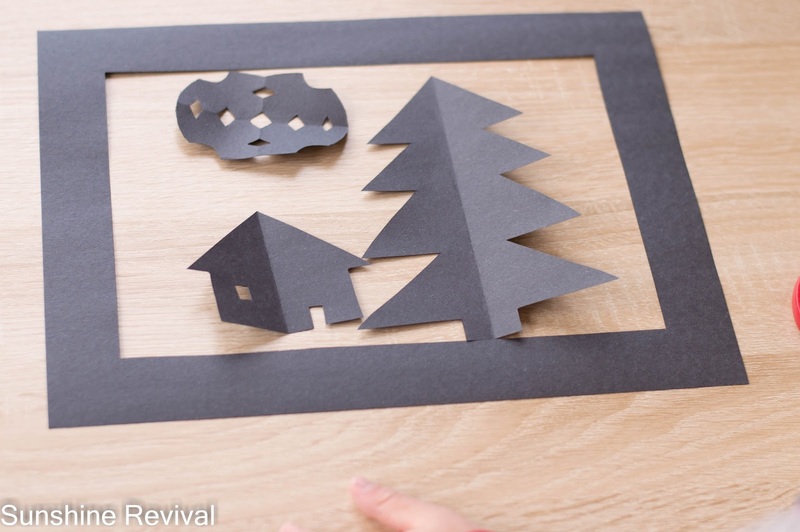 Fold small pieces of black construction paper and cut to make desired shapes...snowflakes, trees, houses. Cut piece of clear contact paper slightly larger than your black frame, remove backing and place on table (sticky side up). 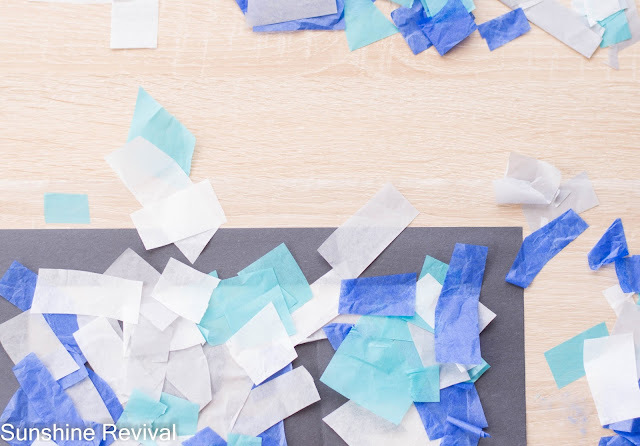 Now adorn your picture! 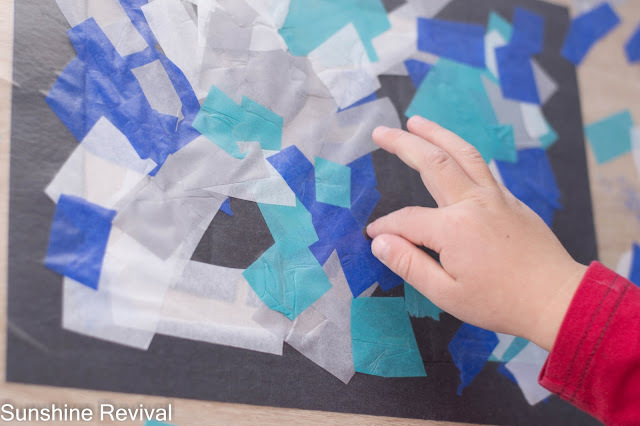 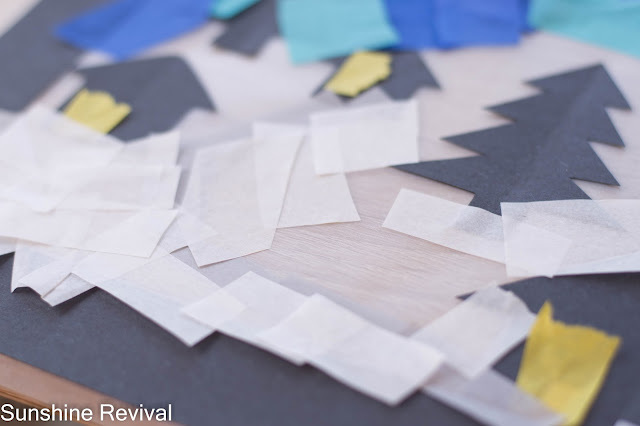 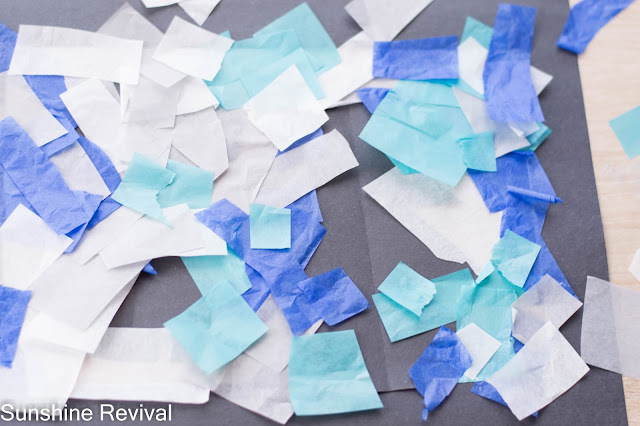 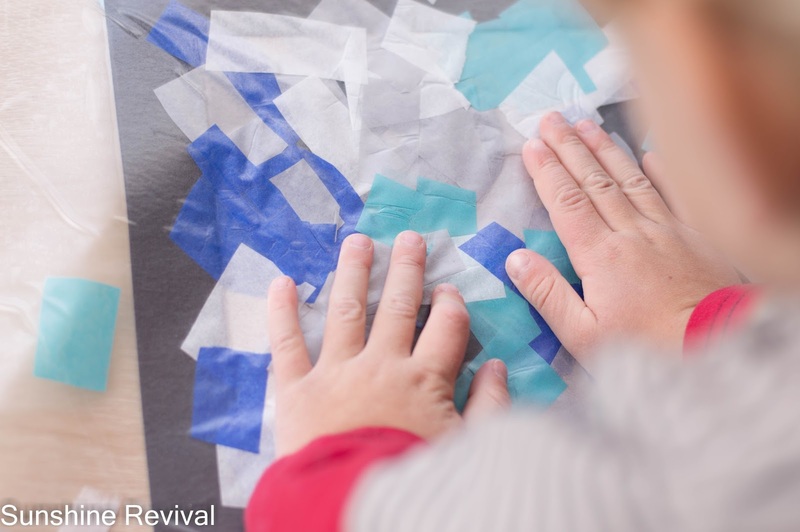 Black shapes go on first, then tissue paper. 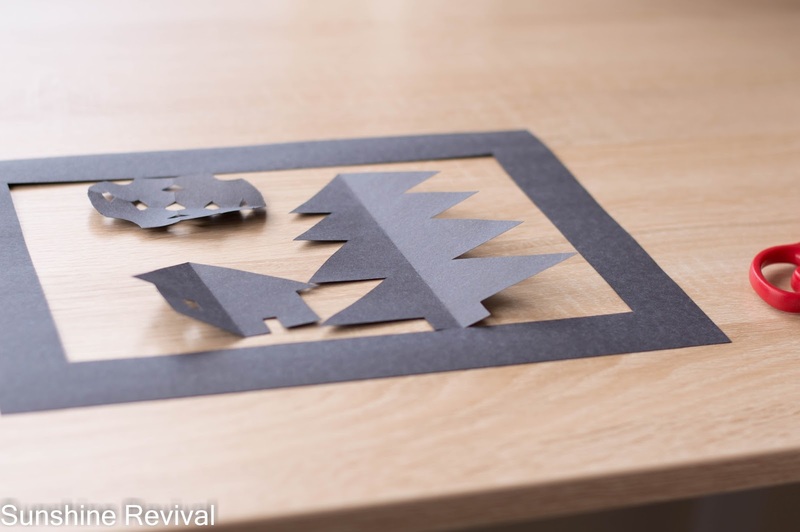 Lastly, cover backside with another piece or clear contact paper and trim edges.